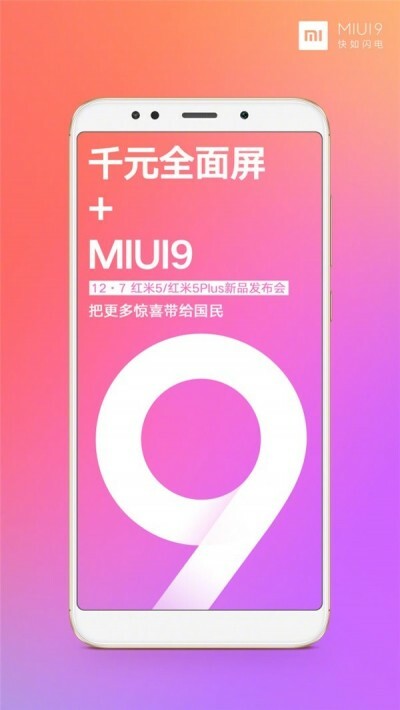 Redmi 5 and Redmi 5 Plus will ship with MIUI 9. Home Mi Redmi 5 and Redmi 5 Plus will ship with MIUI 9. Earlier Xiaomi teased that the upcoming Redmi 5 and Redmi 5 Plus will now launch on Dec 7 instead of Dec 10.Now Xiaomi has again teased that the upcoming Redmi 5 and Redmi 5 Plus will come with MIUI 9 out of the box. 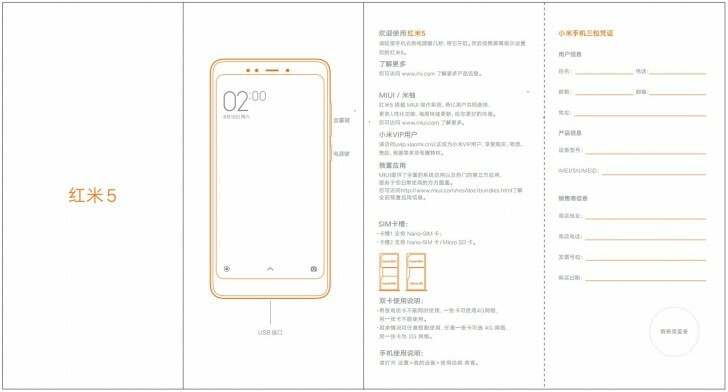 We also got the user manual leaked, which confirms that both Redmi 5 and Redmi 5 Plus will have Dual SIM with Hybrid SIM slot.As per leaked images, the Xiaomi Redmi 5 ca accept two nano SIM cards at once or one nano-SIM card and a microSD card. Apart from that Xiaomi also teased that A Phone for a Thousand on Weibo yesterday which means that Redmi 5 might cost 1000 Yuans (Rs.10,000/-). The Redmi 5 is rumored to be powered by SD450 whereas the Redmi 5 Plus is powered by SD625 chip as per earlier leaks.The Redmi 5 will have 3GB/3GB RAM with 15GB/32GB storage option and 3GB/4GB with 32GB/64GB storage option on Redmi 5 Plus.The Redmi 5 will sport 5.7 inches HD+ display and Redmi 5 Plus will sport 5.9 inches FHD+ display. Previous articleHuawei Nova 2S live images leaked. Next articleApple iPhone X Plus to sport 6.5 inches OLED display dummy unit leaked.